DJ Ko has been emerging in the music industry for the past seven years. His catchy deep house tracks will move your mind. He creates an energetic ambience while releasing his new tracks. Being a DJ, this rockstar has the knowledge of mixing different tracks together to come up with a hit rhythmic progress. Ko is an indigenous nick name that this singer has given to himself and wanted to explore his success in the music industry. Music comes with an equation of rhythm and blends. And DJ KO knows this equation very well and leaves wonderful impression upon the listeners. His creativity and skills of music mixing has made him a famous name in the deep house industry. The track ‘Sea Mist’ has reflected a soothing rhythmic approach. It really showcases the brilliancy of the artist. This DJ has always thought of how to keep his audiences entertained by releasing better rhythmic progression. ‘One More Time’, Richard Humpty Vission’s ‘Alright’, and Matthew Herbert’s remix of ‘The Meaning of Love’ by Karin Krog – these are some the tracks that has inspired this great DJ in discovering back-to-back new tracks. And if you go with the response from his audiences – well, it will leave you with positive answers. 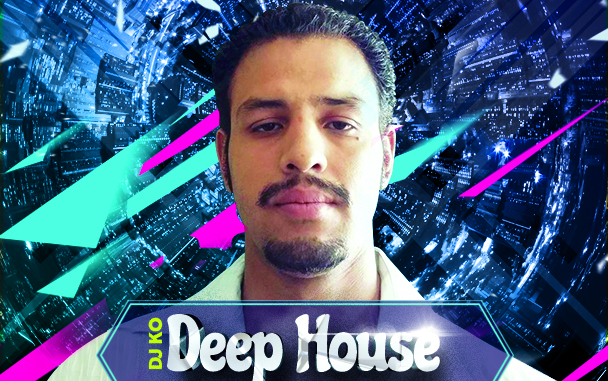 The tracks are energetic and that’s why DJ KO has the ability to sweep away all your worries with a sweep. The response he has received by releasing the track ‘Sea Mist’ is unmatchable. This track ‘Sea Mist’ has started with a bang of riff and it has therefore continued with excellent musicality of the artist. When it comes to partying, it is DJ KO who can only make you feel groovy and energetic. So, according to party animals, this DJ has all the qualities to keep you geared up at the party. His upbeat combination will drag you to the dance floor and let you tap your feet on the beats. Apart from ‘Sea Mist’, you can get tuned in the other creations of the artist which are named as – ‘Rememberances’, ‘Fulfillment’, and ‘Sea Foam’. Stay tuned to experience all the vibrancy of his tracks!